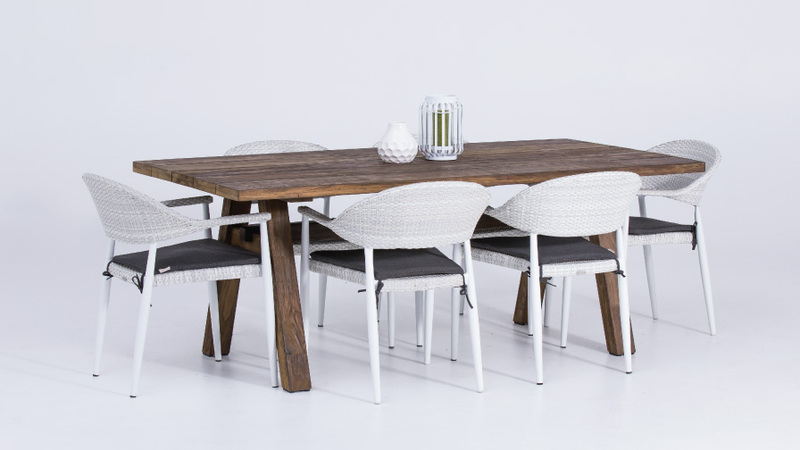 OceanWeave have introduced a new modern white outdoor table to their outdoor dining table collection. 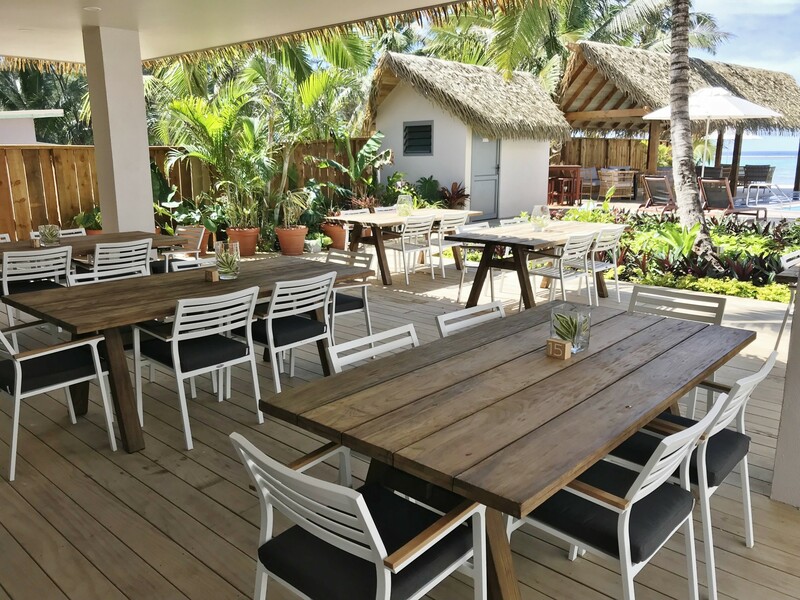 The Wet Edge Restaurant and Bar located at the Sheraton Denarau Villas have refurbished their space with OceanWeave’s outdoor dining furniture. 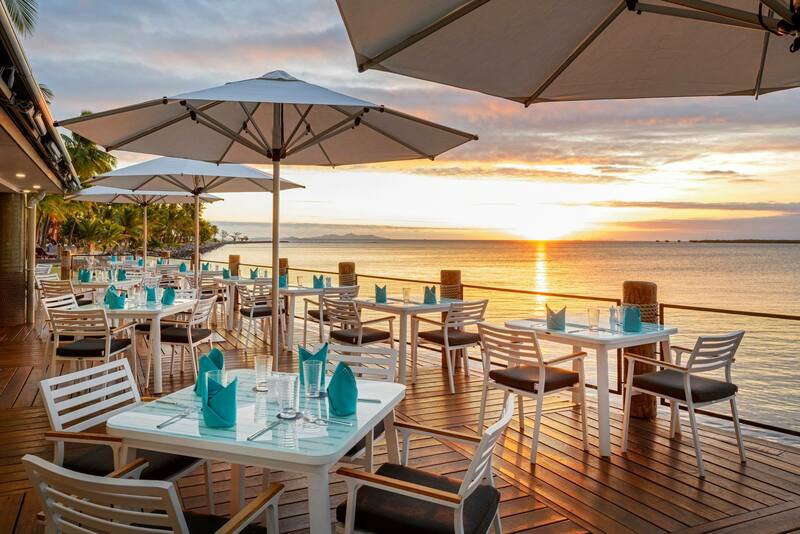 Moana Sands Lagoon Resort is the latest resort in the Cook Islands to feature OceanWeave’s outdoor dining furniture. 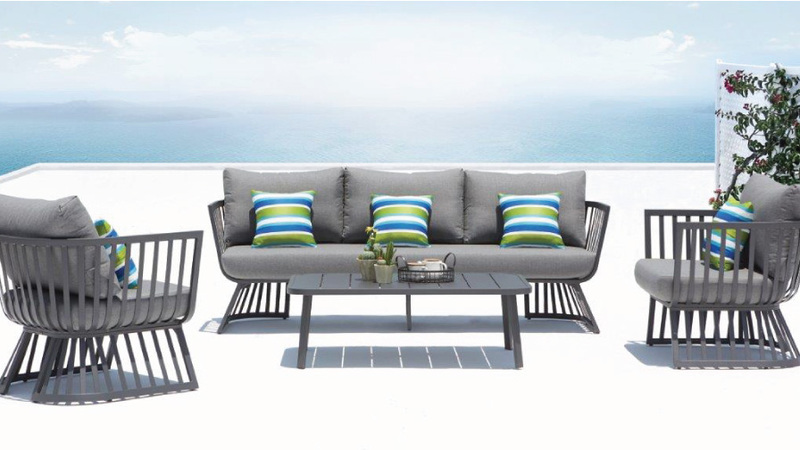 The newly introduced Cannes outdoor lounge set is an exciting new modern style that will elevate any outdoor area. 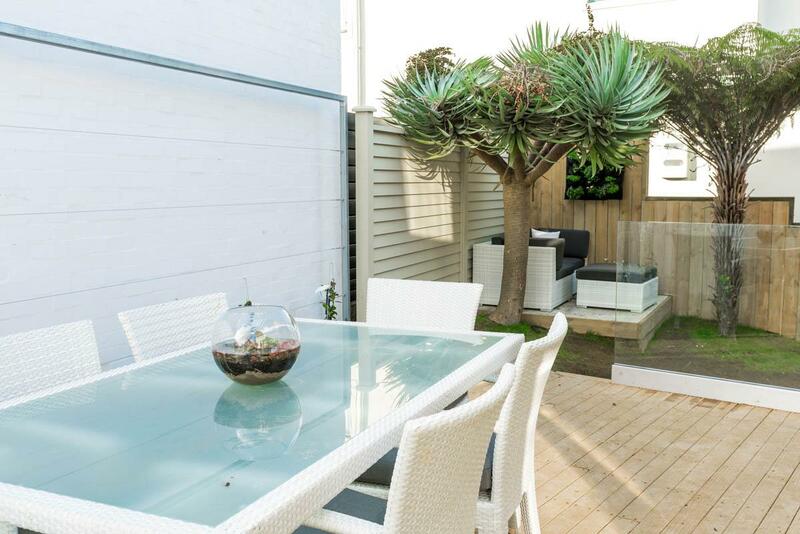 Another outdoor room from The Block NZ: On Point has featured OceanWeave’s outdoor dining table and chairs. 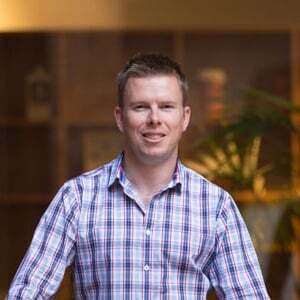 The Block NZ has entered its seventh season of the show and OceanWeave have continued their product sponsorship for the fourth year running. 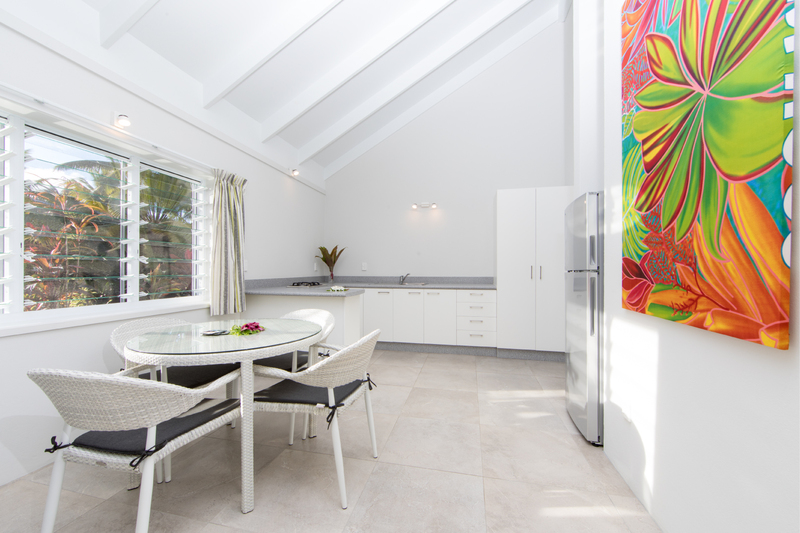 Lagoon Breeze Villas are home to a range of rattan style outdoor furniture from OceanWeave, however as a twist they are featured indoors in this project. Creating an exotic and comfortable look to your outdoor area is easy with the new Milan outdoor furniture range from OceanWeave NZ. OceanWeave’s latest outdoor furniture ranges is the Zambezi, which combines the benefits of outdoor furniture with the comfortable feel of an indoor suite. 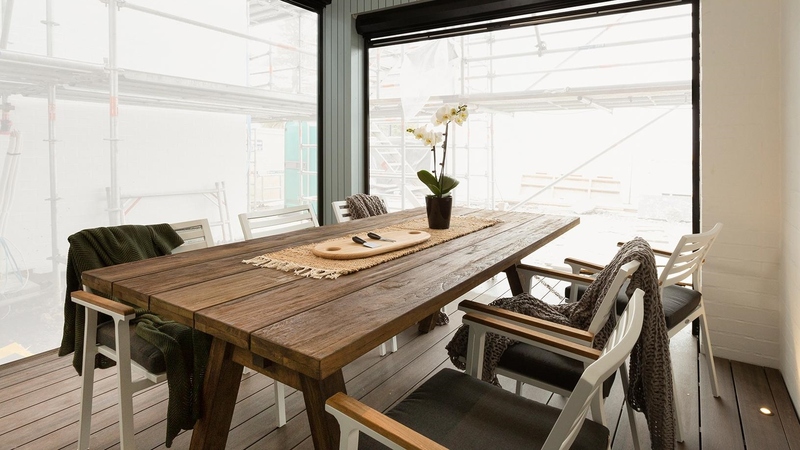 The Block NZ: Side x Side has seen a number of contestants use OceanWeave’s outdoor furniture and outdoor chairs as part of their outdoor entertaining era. 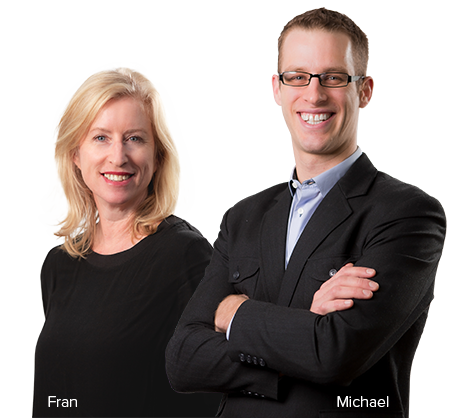 OceanWeave are proud to be sponsoring The Block NZ for the third year running. In the latest season Side x Side OceanWeave offered one lucky team a $10,000 prize. OceanWeave thrive on producing outdoor furniture New Zealand will love and the new Natuna outdoor lounge furniture is no exception. OceanWeave have a couple of new collections ready for summer of 2017/2018. The new Cuba outdoor lounge furniture has a modern look suitable for a wide variety of outdoor spaces. Introducing a brand new addition to OceanWeave’s outdoor furniture collection, a classical solid wooden teak outdoor table ready for outdoor dining and entertaining this summer. 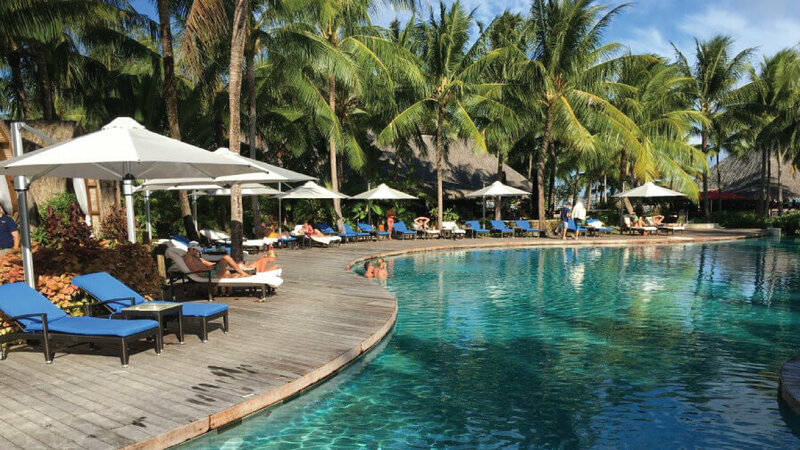 Four Seasons Resort Bora Bora have adorned their poolside area with OceanWeave’s commercial grade rattan sun loungers. 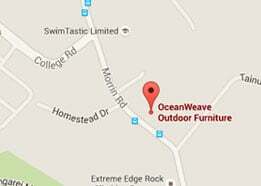 OceanWeave continue to make their mark across the pacific islands, supplying high quality commercial outdoor furniture. 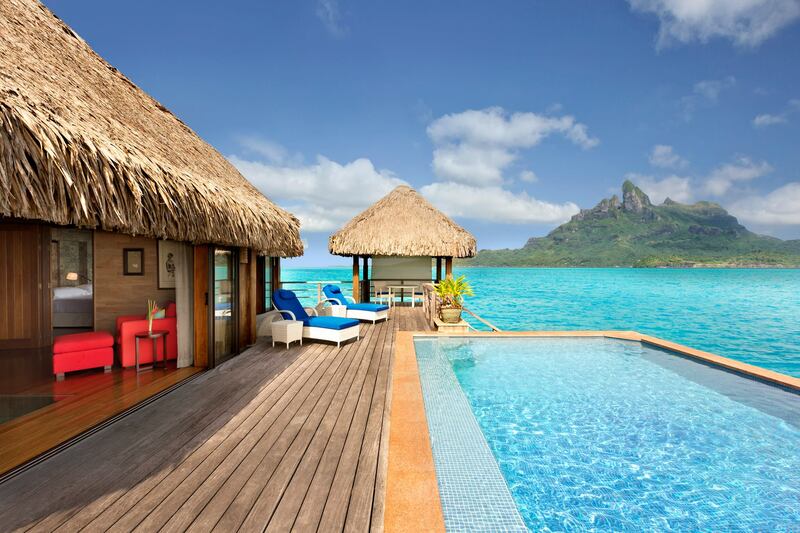 OceanWeave’s very own outdoor furniture has set sail upon Paul Gaugin Cruises. 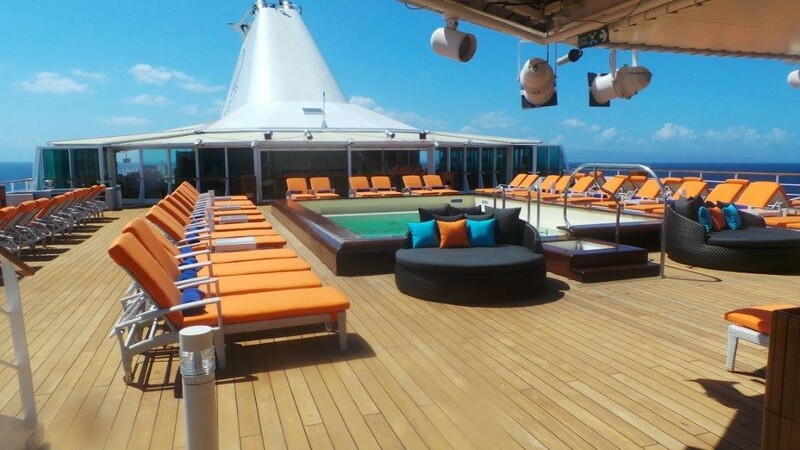 With the addition of outdoor lounge furniture, sun loungers and outdoor daybed, this cruise liner is decked out with premium marine grade furniture for their guests to enjoy. 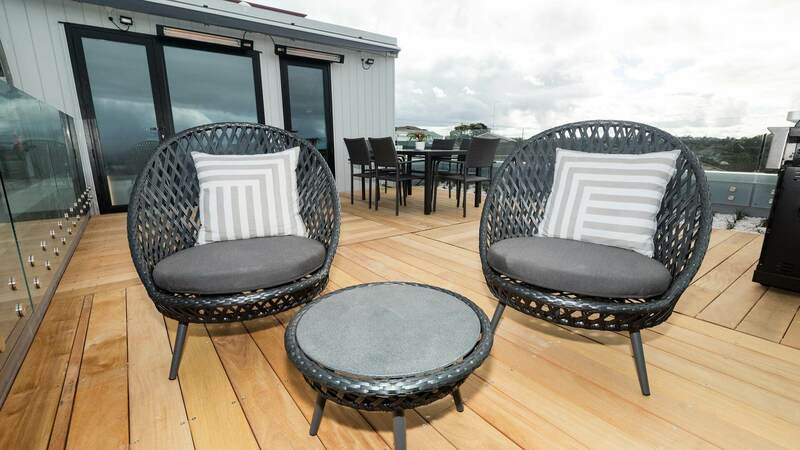 Boutique five star accommodation Te Vakaroa Villas have impressed guests with the addition of three Malibu Rotating Outdoor Daybeds. The Block contestants Emma and Courtney have won $8,000 worth of outdoor furniture after winning the outdoor week challenge. 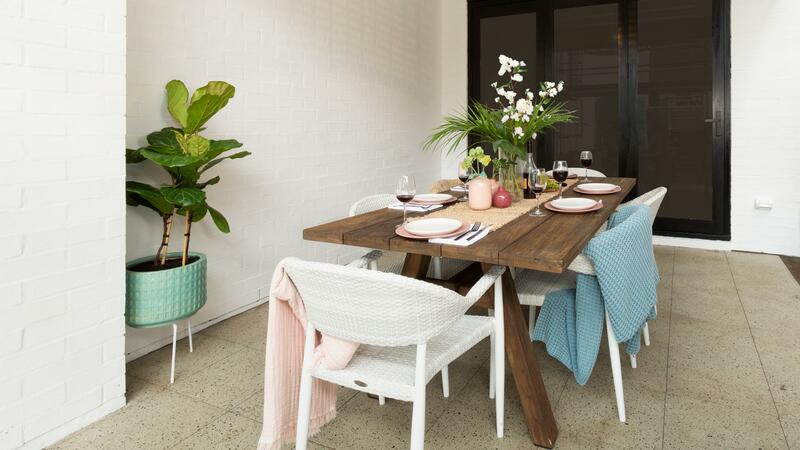 Follow this guide on how to clean outdoor furniture properly, both weave and fabric, to ensure many years of outdoor entertaining. 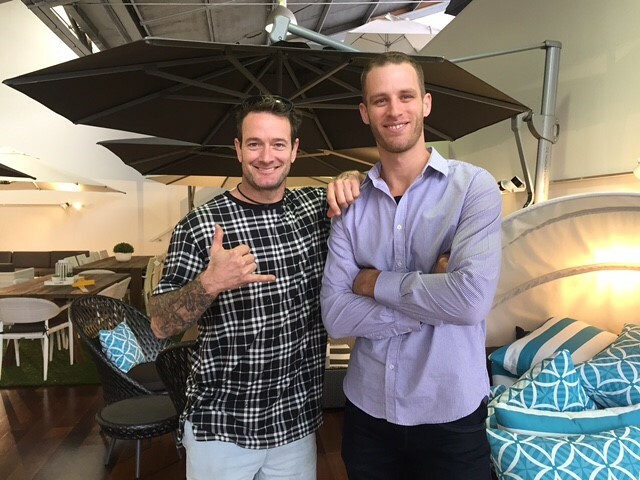 OceanWeave have once again become product sponsors of The Block NZ with season five of the reality TV show. 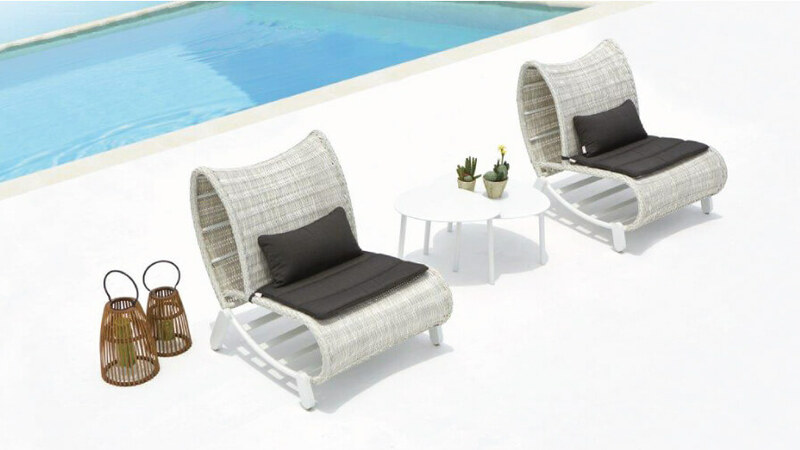 One of OceanWeave’s rattan outdoor lounge furniture sets has grown to include a few new pieces giving further flexibility to the modular set. OceanWeave’s Paris Lounge Furniture has been part of a recent outdoor upgrade of a beautiful rural home in Canterbury. 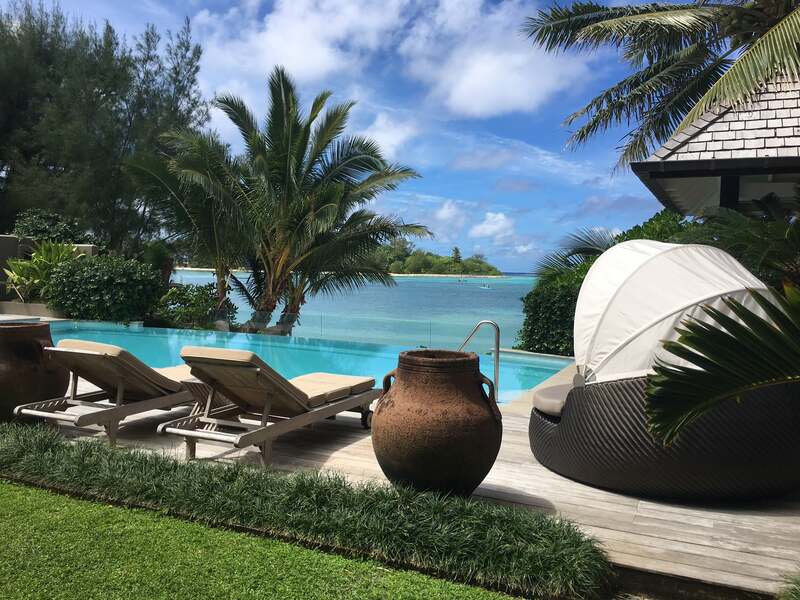 Exclusive five star accommodation provider, The St Regis Resort Bora Bora, have recently upgraded their over water villas and restaurant with new high quality commercial outdoor furniture. 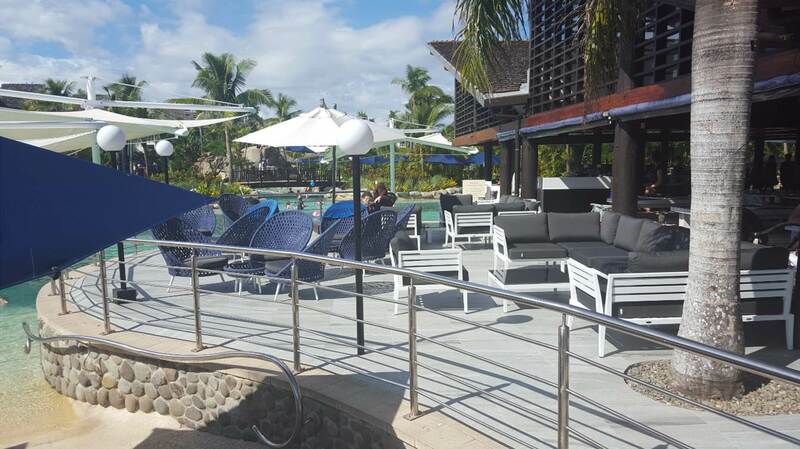 Five star resort Radisson Blu have imported three new designs from OceanWeave furniture in time for peak holiday season this year. 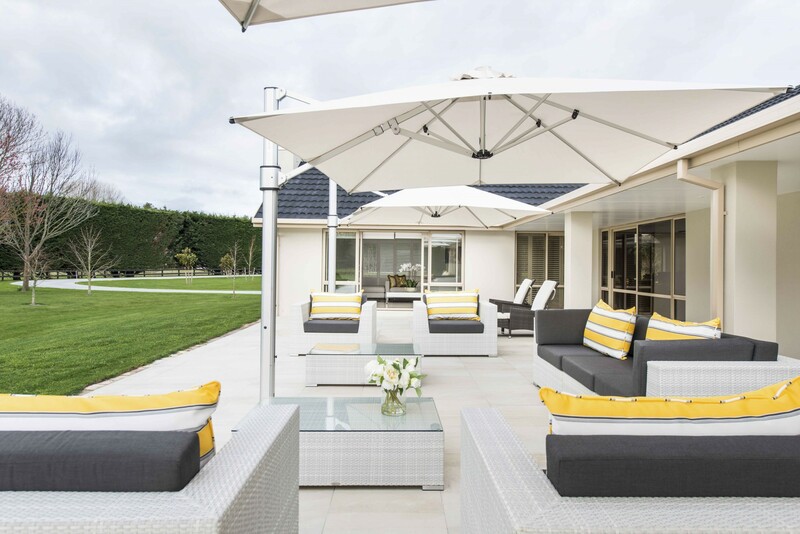 A family in Timaru have created a beautiful outdoor living space as an extension of their home, featuring a range of rattan outdoor furniture pieces from the OceanWeave collections.